£2 / £1.50 concession. Please note if you also attend Night Folk: Embrace the Dark you will be able to reclaim £1.50 off the cost of your ticket! Learn about the history of Corn Dollies and make your own  to take home or to be displayed throughout the evening at our club night Night folk: Embrace the dark. This workshop will be led by Deborah Barker, who has several years' experience in corn dolly making and is one of a small number of craftspeople able to teach this rare skill. 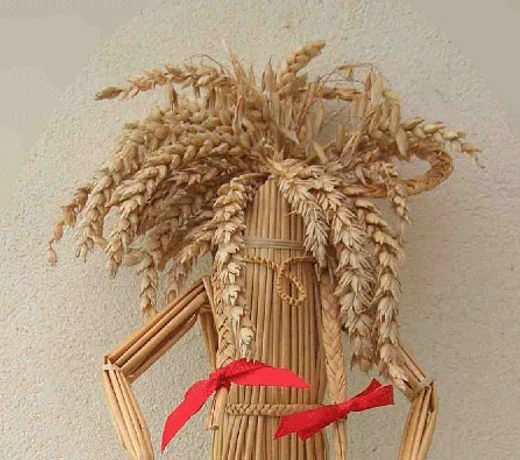 She made her first corn dolly after being given a sheaf for helping to scythe the crop on the National Trust's Wimpole Estate.